Here you find what Turin Brakes were up to from the beginning until roughly the end of 2007. The start of the year 2007 meant business for the band. The year hadn’t begun properly or recording sessions begun in a little studio in South East London. After two weeks they finished a dozen songs and took a break. In this break, Gale and his wife had their first child, a girl named Leia Grace. She was born on the 29th of January. We have been sifting through the many many live takes from the 1st session and editing the best parts together to make “uber” takes which we will then work on top of. By the end of March 17 songs were recorded! All this was documented on the official site and Myspace, so fans could always be up to date if they wanted to. The months after were pretty quiet, but early May the band announced they were to master the record: On Friday we master the new record with Ethan and a man with giant satellite like ears that can pick up the faint sighing of a melancholic mouse in a field on the other side of the world, oh and our managers and the label peeps too! What that really means is basically we have to finally commit to a list of songs to live with forever and make something the kids call a “compact disk”. You can also tweak the sound a bit more too and make it LOUDER. Things have been going worryingly smoothly so far. In that same month it was announced the band would make their festival comeback at the Latitude festival in July and Olly became a dad for the second time. Ruby got a little sister: Daisy May is her name. She made a swift appearance in a horses mouth entry later that year. Mid-June all the album details were revealed: it would be called Dark On Fire and scheduled for a September release, preceded by single Stalker. In July a tour was announced to commence in September, one week after the album release. This tour would end in the London Forum on 11 October. Before all that however, the band played a hot, intimate and free gig in the Lock Tavern, for Clash Magazine. The band premiered various new songs (Ghost, Something In My Eye, Last Chance, Stalker), while not forgetting to play various old favourites. Originally, the band were scheduled to play 6-7 songs, but they ended up playing twice as much. Nice one! In August, it was announced that Stalker would be the first single on 7″, CD and download. The b-sides for the 7″ and the CD would be Rise and Time Machine. However, getting closer to the release date, it became clear that EMI wasn’t actually planning on releasing physical copies of the single. Instead, a download only single was released, with an acoustic version sold by some retailers as a b-side. The original b-sides were to be locked away in the archives. Probably also because of this, Stalker didn’t break the top 100, charting just below that. Dark On Fire didn’t do much better… It JUST made the album charts, entering at 36. Not much later the band posted a horses mouth, in which they ask their fans to help promote them, saying that the world gets increasingly tough for bands when they are “not new” in the eyes of the media but you guys, the real fans, are all that really matters. They thanked the fans for their enthusiastic and warm response at the recent live outings. feeling that there’s more to the song than you hear yourself. 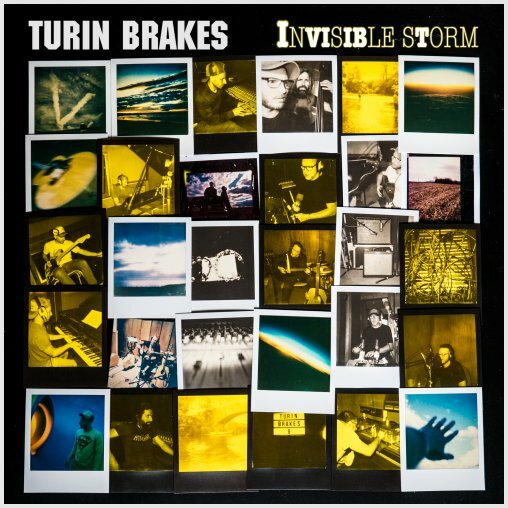 And after all those rocking tunes, the final two songs prove that Turin Brakes know what they’re doing… Here Comes The Moon especially is possibly the most simple song of all, but it’s melody is hauntingly real. You imagine yourself sitting in a car after midnight. New Star is acoustic old-skool Turin Brakes. The album isn’t being released in the USA by Astralwerks, since the band felt that label wasn’t in a position right now to release the album. Since then, the album has been released as a download on iTunes, but not in physical form. So while Dark On Fire turns out to be a slow burner commercially, the band goes on a nationwide tour. Olly and Gale also appear on Channel 4’s Transmission show. They show the part of London they grew up in and play a gig in an old cinema. The band also play various (acoustic and full band) radio sessions (XFM, BBC Radio 2, BBC Radio 4, BBC 6Music and others).